I just love pork, all kinds of pork! 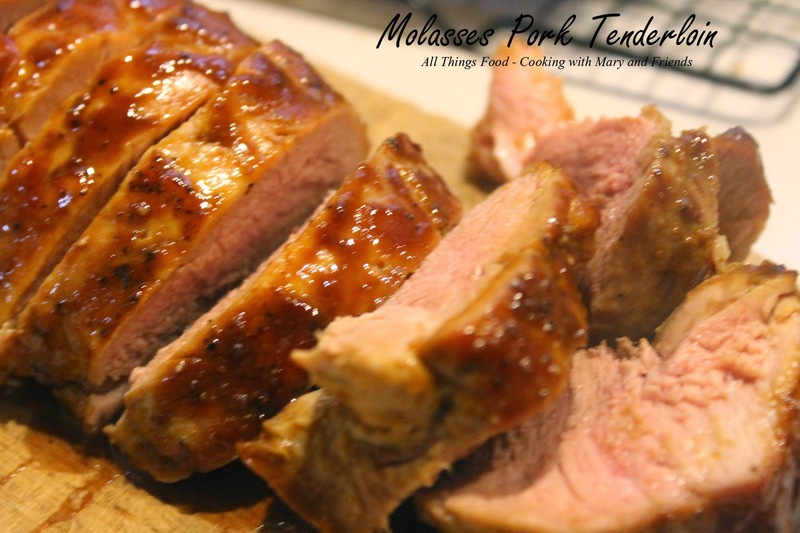 We've had it prepared in a variety of different ways, with all kinds of cuts of pork; pork scallopines, pork shanks, pork chops, pork roast, tenderloins and more. Each is very good in its own special way, and it almost always exceeds our expectations as far as taste and flavor. Of course the BEST pork ever is pastured pork, raised humanely with no antibiotics or hormones from your local farm. This is always the kind of pork we seek out, since there is simply no comparison in the flavor. Simply put, pastured pork is a superior product from anything purchased in a grocery store. Once you've tried it, I promise you will never look back. Preheat oven to 450 degrees. Lightly oil a baking dish on all sides and bottom to prevent sticking. Lightly oil pork tenderloin, place in baking dish and sprinkle with salt and pepper. 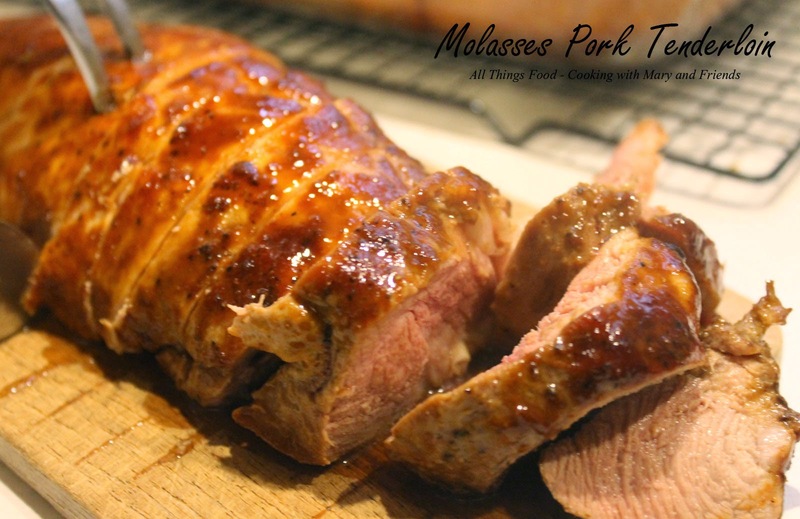 Mix molasses, Dijon mustard and balsamic vinegar in a small bowl; spoon 1/2 of the mixture over the pork tenderloin. 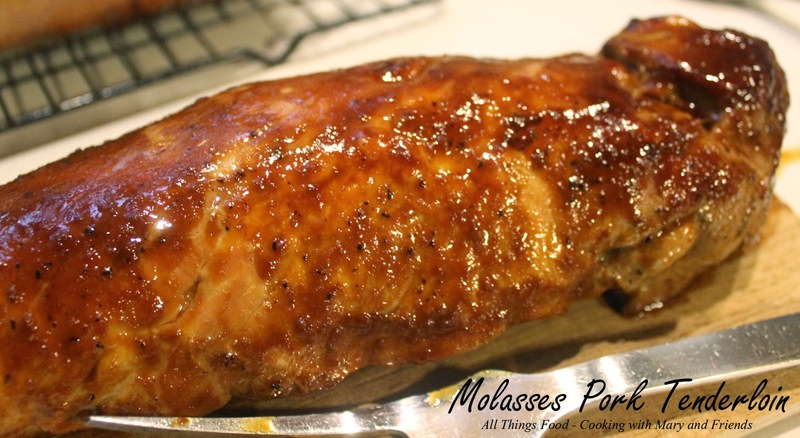 Roast pork at 450 degrees for 15-20 minutes; reduce heat to 350, baste remaining sauce over pork and continue to roast 15 additional minutes or until internal temperature is 145 degrees. Remove from oven and let rest 5-10 minutes, covered with foil, before carving to serve. Be careful not to over-cook. You want the pork to be slightly pink inside, or medium. This will insure it's still moist and juicy.